Children are fascinated by these sensory letters while learning initial sounds. They provide an alternative to purchased or teacher laminated flashcards. 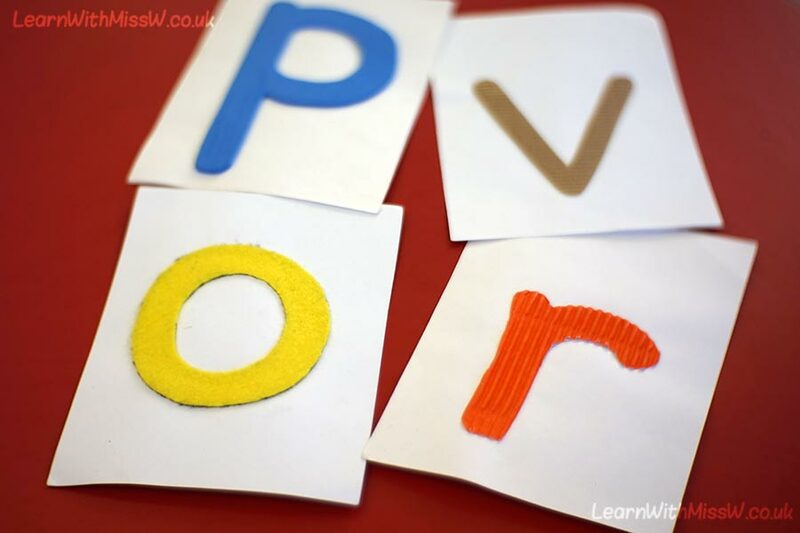 The different textures encourage children to interact with the letters and give them an additional way of identifying the structure of a written letter. I have used mine for years, and they have probably survived as I try to make sure that the children don’t have access to pens or pencils while playing with them!